Our Little Rock office was started in 1987 and moved to the current location at 11815 Hinson Road in 2001. It has been staffed through the years with many experienced professionals, including CPAs and degreed accountants as well as other professionals providing accounting services, office management and administrative support. 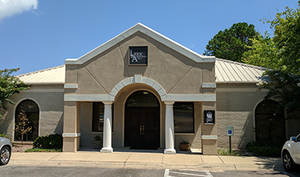 The highly valued client base serviced from Little Rock consists of high net worth individuals and their companies, some of whom have been with L & A since it started in 1987 and many of them for 15-20 years. Our clients also include non-profits and trusts as well as individual clients. Some of our clients started their businesses with us, and we have been part of their success all the way through to the sale of their business stock or assets. Our Little Rock office also offers specialized services such as audits, valuation of businesses, and forensic accounting as better described in the “Services” section of our site. Consulting services are centralized in the Little Rock office as well.